What a day! 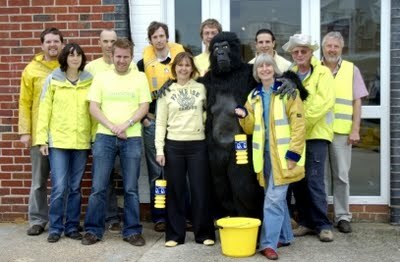 The WightStay team have been out and about with our tame gorilla collecting money for the Earl Mountbatten Hospice on Go Yellow Day. 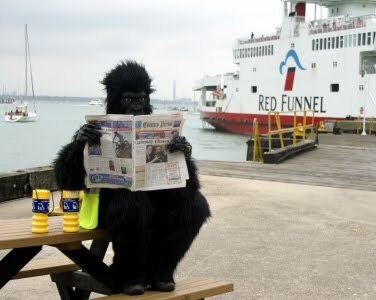 Take a look at the photos, as people queued to get on to the Red Funnel car ferry from East Cowes, they were treated to the sight of our gorilla and his handlers giving away bananas - nearly 500 of them! 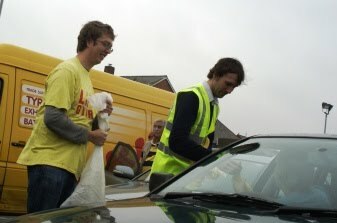 Those waiting dug deep and put money in the collection tins, which filled very quickly! 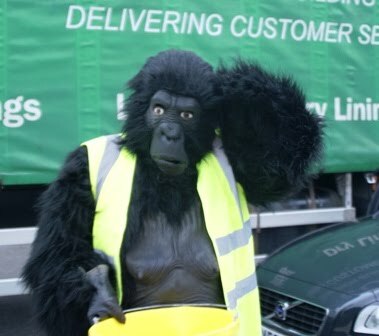 With lots of great monkey music blasting out from our speakers, we hope that everyone had fun - the smiles on the faces of children in particular was brilliant. 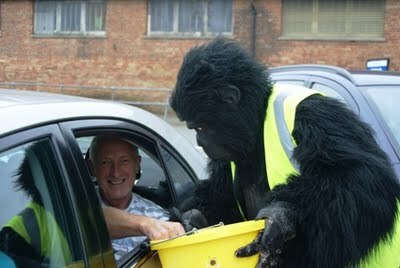 We can't thank enough Lynn and Sandra at That's Service Party Shop for helping us out with the gorilla suit and Darren, Alexa and the team at Red Funnel for letting us take over the car park, and collect money for this great charity. And of course - a huge thank you to everyone who gave so generously! If you weren't on the Island, then you missed out on your free banana - why not take a look at WightStay and our selection of great hotels on the Isle of Wight, our list of lovely self catering cottages and apartments on the Isle of Wight, or our bed and breakfast choices, or the camping and touring sites on the Isle of Wight! 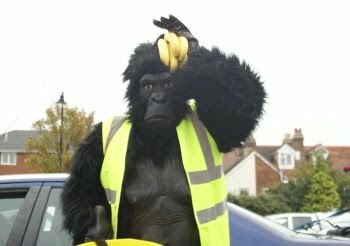 Once again, thank you to everyone who gave money - we hope you enjoyed the bananas!